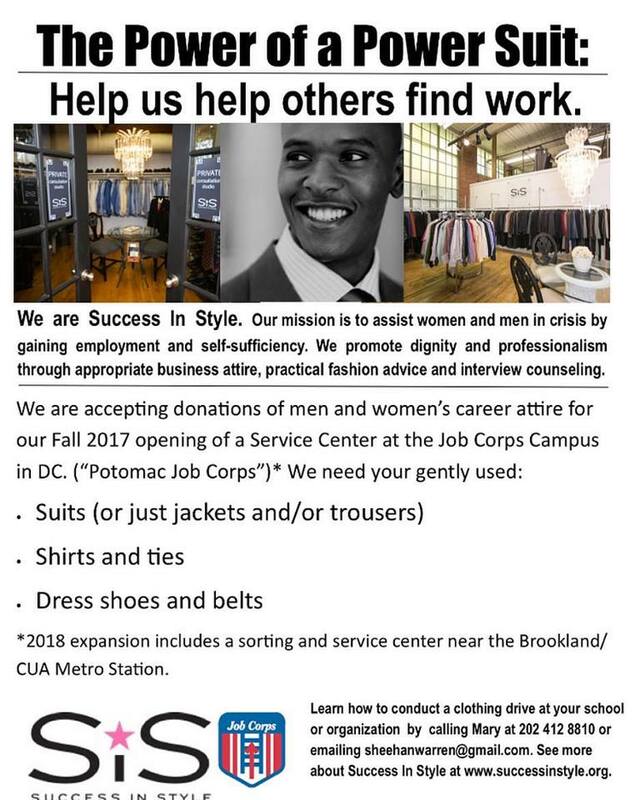 Success In Style (SIS) is a Maryland-based non profit organization that provides career apparel to men and women in need. Currently, SIS is opening a boutique for the students at the DC Job Corps "Potomac" campus. You can help! Volunteer to work with Job Corps students at the DC "Potomac" location. We train our volunteers to be the best stylists in town! Learn more about Success In Style . Learn more about Job Corps . Print off fliers to assist with your clothing drive.